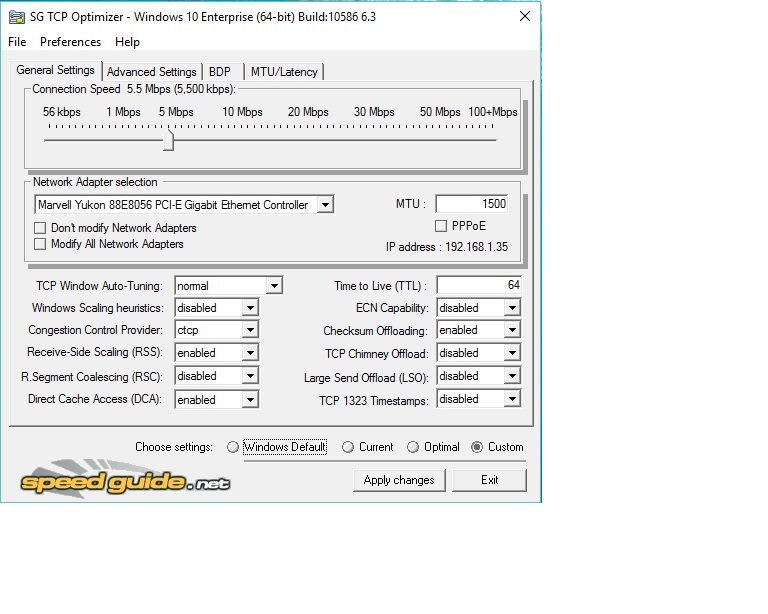 Hi, for all who have poor/low gaming performance (online gaming) you can apply/use this nice free tool to change settings and improve your connections a little more. Here are links to website-instructions too if you wish learn some about this things makes, but don't forget to read!!! Btw, I give you 2 screenshoots for easy, for more vague people. but this Custom is adapted to improve gaming experience, so all in your PC is set now to improve gaming experience. 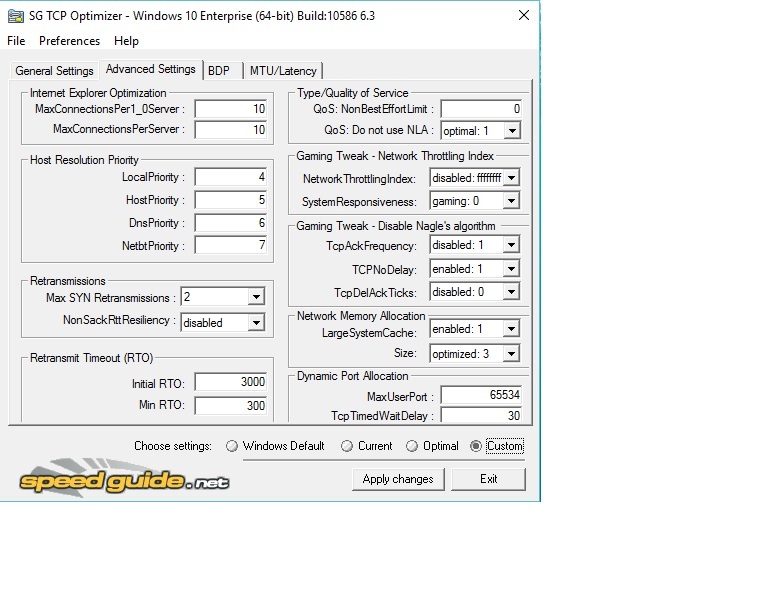 Don't forget download "SG TCP Optimizer v.4" software in same link (top link 1) and run it as administrator to change this things. ps: one diference only, In my case I set only 5.5 Mbps in Connection speed because this is mine net-speed, but you should change to match set with yours, other settings don't change. * I'm not author of these knowledges, give thanks and recognition to the creators of the information in this website. It's about improve/adjust properly the settings for your hardware (for mouse and so, like dpi and Mhz correct settings), to have better fluid motion (without skips or lag) of response on/of screen when you are using ranged weapons by example. Maybe you have some skills already (by example in ranged snipering, well, then maybe you can get a little bit more by adjusting properly some settings for your mouse and similar.